Before we look at the numbers, let’s take a brief look at the test system that was used. All testing was done on a fresh install of Windows 8.1 Pro 64-bit and benchmarks were completed on the desktop with no other software programs running. We completely overhauled our test setup for the Intel Core i7-4790K processor launch, so we are starting over from scratch when it comes to testing everything. For this review will be comparing Intel Z77 and Intel Z97 platforms. These platforms are aimed at mainstream users and all feature integrated graphics, so it will be interesting to see how the systems compare. 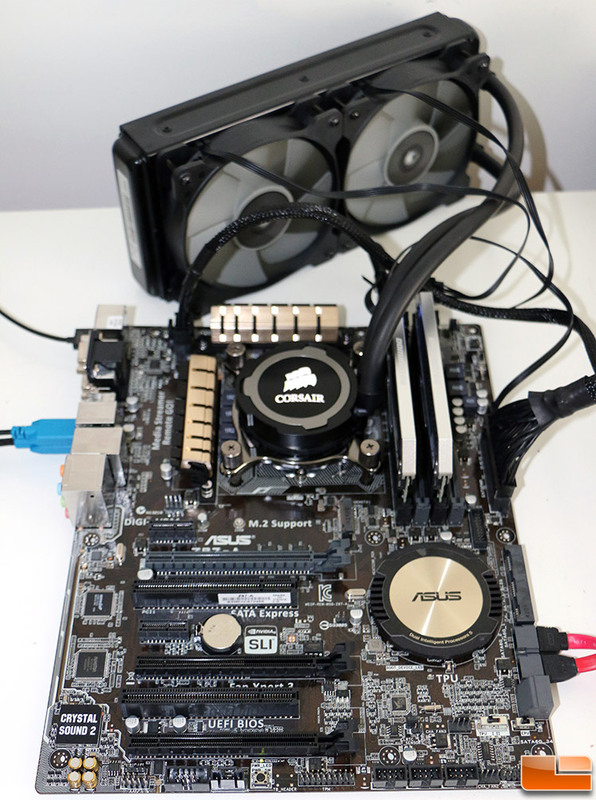 The Intel Z97 platform that we used to test the Intel 1150 processors was running the ASUS Z97-A motherboard with BIOS 1204 that came out on 6/20/2014. The Corsair Dominator Platinum 8GB 2133MHz memory kit was set to XMP 1.3 memory profile settings, which is 1.65v with 9-11-11-31 2T memory timings. The Corsair Neutron GTX 240GB SSD uses 19nm NAND and was using M310 firmware. 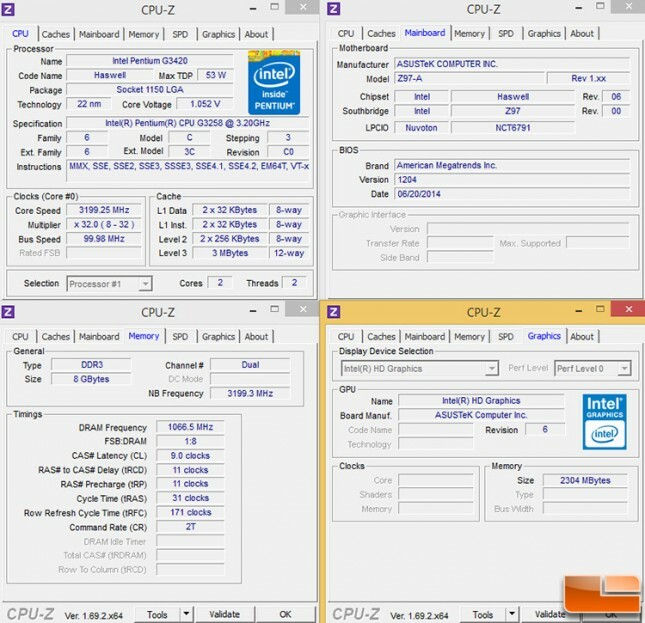 Here is a quick look at the CPU-Z information for our main test system that we’ll be doing the testing on.